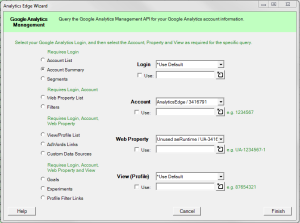 The Management Lists wizard allows you to download information about your account(s), web properties and views. 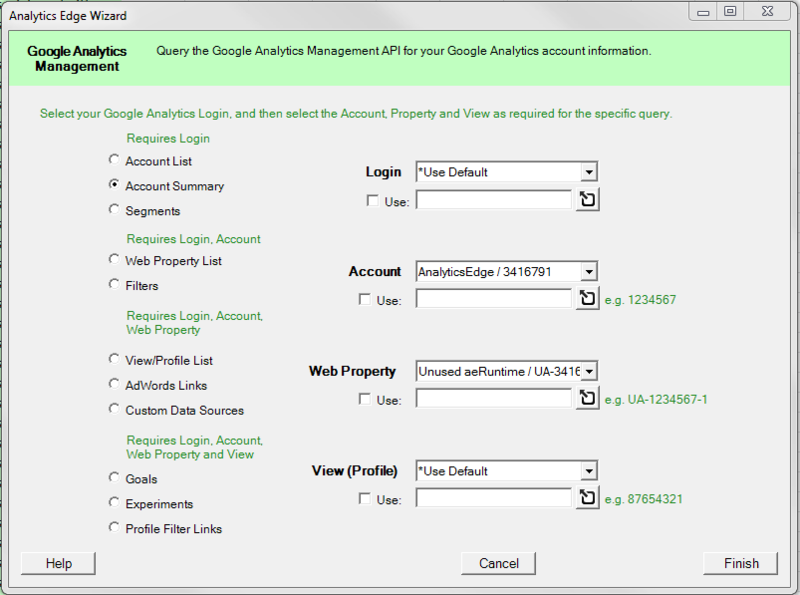 Select the Login to use for the query, then pick the Account, Web Property and View (Profile) to use for the query. Then select the report to run from the list at the left. If you select ALL for the account, property or view, you will get listings for all your accounts, properties and/or views that match.